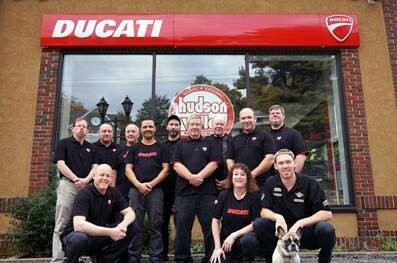 Milan, Italy (November 7, 2018) – At EICMA 2018, Ducati Motor Holding is pleased to announce that Hudson Valley Motorcycles has been selected as the 2018 Dealer of the Year, America’s region. Located in Ossining, New York, the dealership was chosen based on a commitment to success across sales, service, customer engagement and comprehensive marketing activities. The dealership has consistently excelled in both CSI categories of sales and service, as well as CAS revenues of apparel and accessories. In addition, the dealership also excelled at qualitative bonus evaluation categories, including leads being followed up in 72 hours as well as superior utilization of social media. Located in Westchester County, New York, the dealership was founded by Richard Alexander Sr. in 1966. The Alexander family has a deep and storied history of Motorcycle racing, with both Richie Jr. and Corey (third generation) earning AMA National Road Racing Championships.